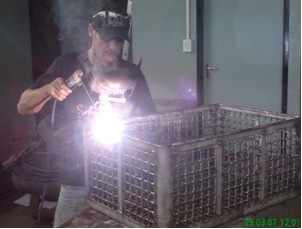 Gavron Engineering works to provide their customers with a range of light steel fabrication services. We specialize in stainless and mild steel fabrication, security gates and panels, handrails and balustrades, revolving and folding washing lines, and custom builds to suit our client requirements. We have successfully fabricated a wide range of products for a very broad client base (see our photo gallery for more details).